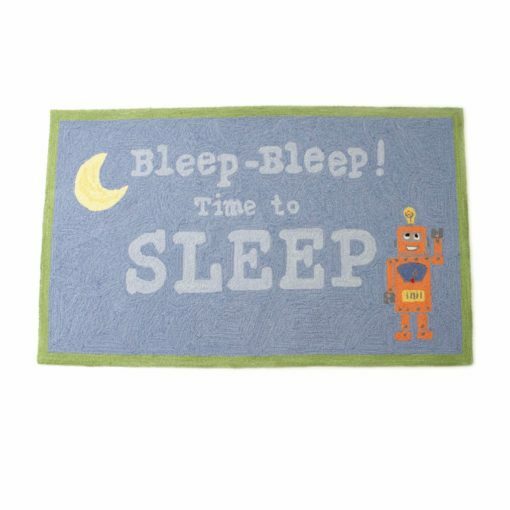 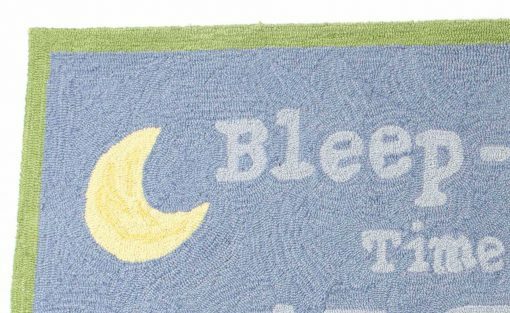 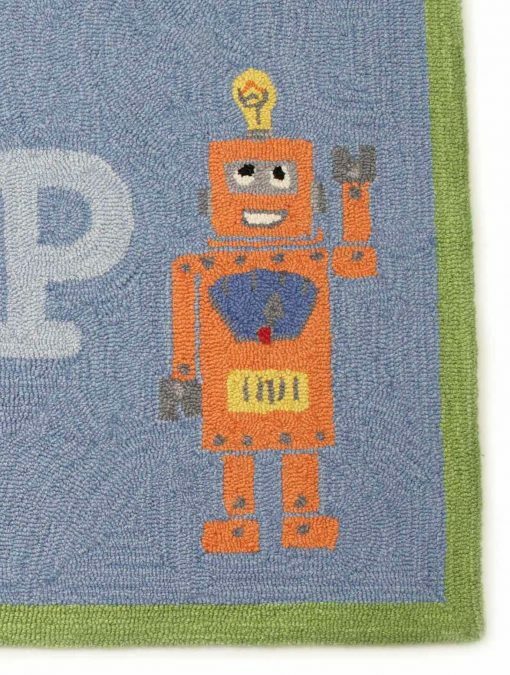 For parents who have trouble getting little ones to bed, Try our “bleep-bleep time to sleep” rug to make bedtime more fun! 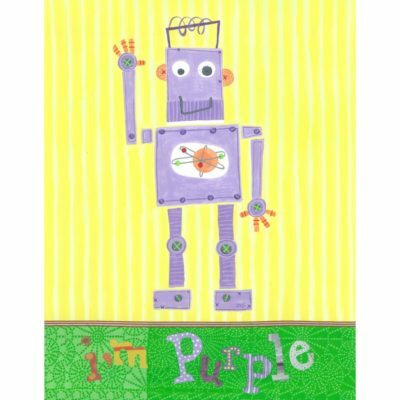 One orange robot is waving up at us for a whimsical and charming Nighty-night! 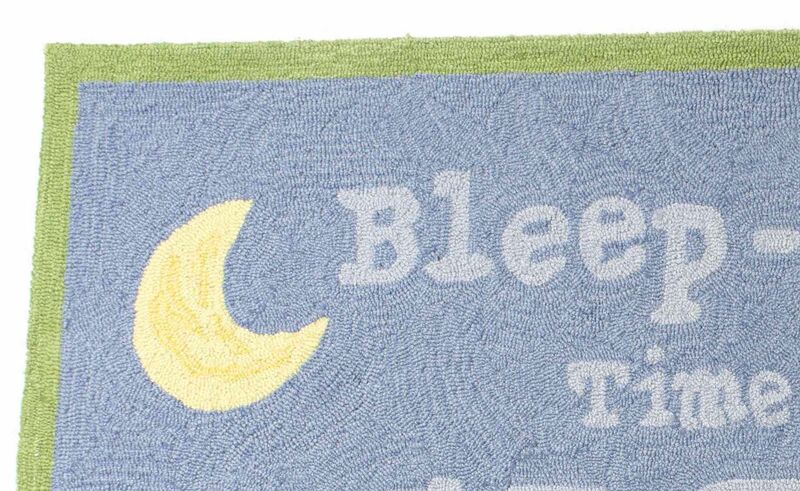 For parents who have trouble getting little ones to bed, Try our “bleep-bleep time to sleep” rug to make bedtime more fun! 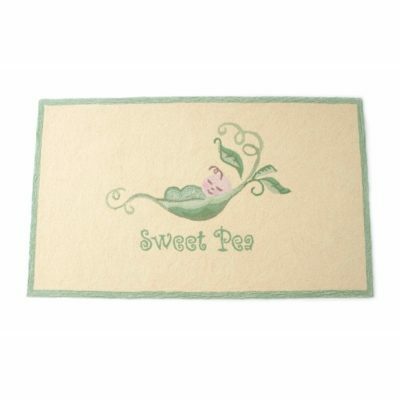 Soft shades of blue create the background for the tone on tone light blue words; “Bleep Bleep Time To Sleep”, framed in a green border with one orange robot waving up at us for a whimsical and charming look.